The RMS Titanic sank on April 15, 1912, and its demise changed the world forever. For many people, which included survivors of the disaster, the ship sinking was such a shock that is signaled the beginning of the 20th century. The world was not the same after the biggest ship in the world went down, and places where it was built, like Belfast, Ireland, saw the 15 thousand men who built the beautiful ship, literally weeping that something they poured their heart and soul into was suddenly gone. Belfast was never the same after the Titanic sank, but now, over 100 years later, there are a lot of reasons for this city to hold its head up and be proud. 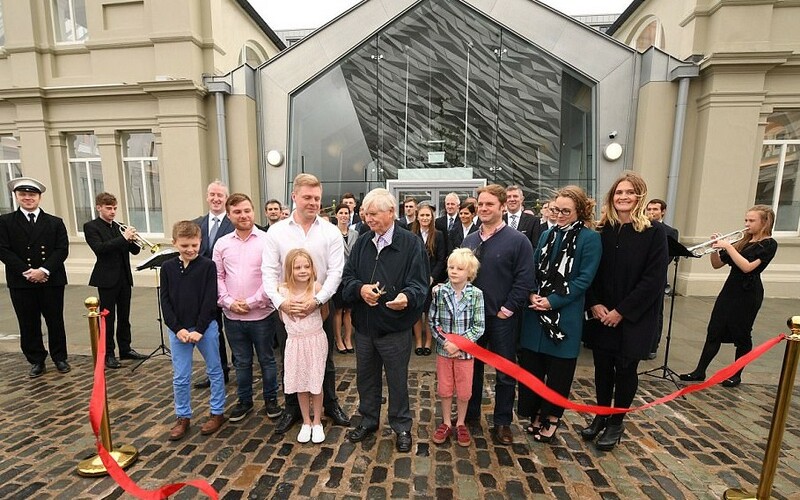 The Titanic Belfast Museum opened back in 1912, two weeks before the 100th anniversary of the RMS Titanic sinking, and now there is another reason to head to Belfast. The Titanic Hotel has finally opened, and in its first week alone, it was sold out. The Titanic Hotel in Belfast was not created from just another building in Belfast, Ireland. The building itself has a history that is connected to the building and sailing of the RMS Titanic. What is so special about this building? The building now used for the hotel, is one of the many buildings used by Harland and Wolff. Also know as the Harland and Wolff Headquarters and Drawing Offices, there were many ships that went from mere ideas to living breathing designs including the RMS Olympic, RMS Titanic, and RMS Britanic. However, the buildings sat dormant and unused for more than 30 years, Harland and Wolff stopped using them in 1989, before they were bought and turned into a beautiful hotel where people can experience both the present and the past. What also makes the Harland and Wolff Drawing Offices so special is that it connects people to the glorious days of Belfast’s past, which was largely dedicated to building the finest ships in the world. There are a lot of people in the world that love history, and will often make trips to certain places based on their historical value. 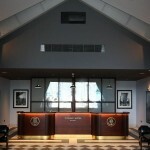 The new Titanic Hotel in Belfast has 119 rooms, the visitors are transported back to the Titanic herself. For example, the famous Drawing Room, with its unique round arches that cover the ceiling, is now a bar, and people can not only enjoy a drink, but sit at the bar which uses the same tiles that lined the swimming pool of the famous “unsinkable” ship. Want to see images of the RMS Titanic? For people who cannot get enough of the most famous ship in the world, the Titanic Hotel features pictures of the ship all over it. Whether its one room that has the blue prints on the wall, the images of the ship that cover the walls of the stairs, or the view of the famous Harland and Wolff yellow cranes just outside the windows, there is Titanic all over this stunning hotel. For people who want to experience as much of the Titanic as they can, the Titanic Hotel will be offering special historical tours. The Drawing Offices will be open to the public, and there will also be certain areas of the hotel available, which includes certain key heritage rooms. Visitors will be able to see artifacts, visit Lord Pirrie’s Office, the man who helped J. Bruce Ismay design the ship, the Presentation Room, and the office of Thomas Andrews, the man who designed Titanic and went down with her on the night she struck the iceberg and sank. 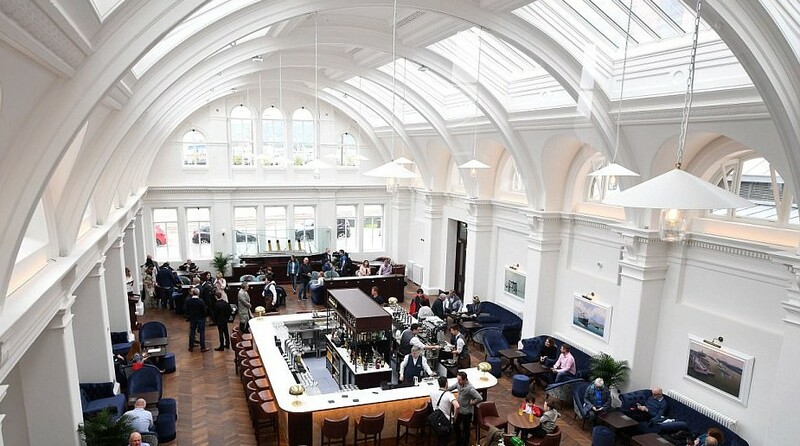 After nearly two years in the making, the Titanic Hotel in Belfast is now opened to the public. 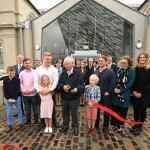 Thanks to money donated by the Titanic Foundation, the Titanic Quarter Limited, and the Heritage Lottery, which included donations from former employees of Harland and Wolff, the dream of turning a set of dilapidated old buildings into a historical hotel, has now become a reality. The Harland and Wolff Headquarters and Drawing offices sat unused since 1989, and historians feared the building that was once used to design the Titanic herself would simply rot away. Howver, thanks to a $5 million pound donation, the unused buildings were rescued, redesigned, and now feature 119 rooms where people can stay and experience all the RMS Titanic they can take. The famous arched Drawing Room is now a bar that features the same tiles that lined the Titanic’s pool, and there are pictures, drawings, blue prints, and artifacts from the ship everywhere. 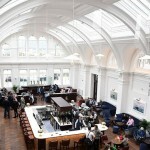 The Titanic Hotel in Belfast opened on September 11th, and is now fully booked. However, for people who do want a chance to check out this historical hotel, the website for it is here. 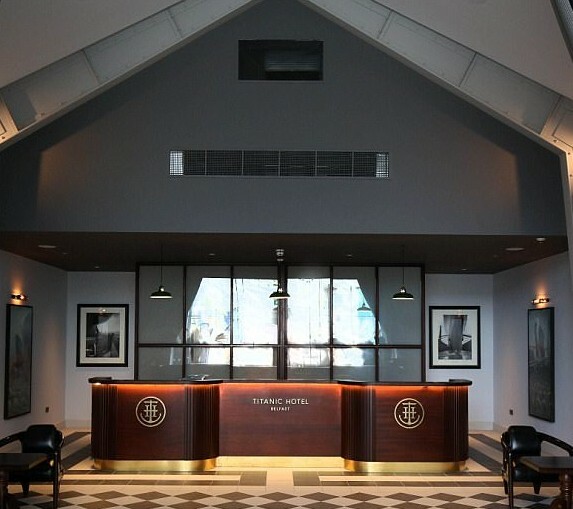 For people that wants to visit the Titanic Museum in Belfast, they now have the choice of staying somewhere close to both the hotel and Harland and Wolff itself. The RMS Titanic sank in 1912, but now, over 100 years later, she will never be forgotten in Belfast, Ireland, the place where she was dreamed of, built with the help of 15 thousand men, and now the place that features an amazing museum and now hotel too dedicated to keeping her legacy alive for all time.